Have a contract with your teenager that clearly outlines your expectations about how they will operate a motor vehicle. Most insurance companies have a downloadable contract on their websites as does the Centers for Disease Control and Prevention. Forbid cellphone use while driving. This can be accomplished in many ways. Require the phone be put in the backseat, trunk or glove compartment while the vehicle is operation. Download an app such as Cell Control, Drive Safe Mode or Live2Txt that prevents texting while the vehicle is moving. The websites of most major phone carriers have a list of available apps which can block cellphone use while driving. Have your teen attend a driving school and then ride with them until you have an appropriate comfort level with their driving skills. Alternatively, you can teach them yourself but, as you might remember from Little League, kids are often more attentive and responsive to a third person teaching them. Install a GPS tracking device on your teen’s vehicle. Mastrack, MobiCoPilot and MotoSafety and others plug into the vehicle’s diagnostic port and will track the vehicle’s speed, location (helpful if you do not want your teen driving all over town), hard brakes, etc. These devices will send you text and email alerts if your teen goes over a preset speed limit, distance, etc. Consistently talk to your teen about safe driving. As they go out the door, remind them to wear their seatbelt. Discuss the importance of not following to closely and not speeding, etc. Most teenagers only listen to about ½ of what their parents say. So give safe-driving talks priority over lectures about cleaning their room during this critical driving period. Limit the number of passengers in your teen’s vehicle. According to AAA, teens are 44% more likely to be killed in a crash if they have a passenger in the car. The risk doubles with 2 passengers and it quadruples with 3 or more passengers. Enforce your rules. Driving is a privilege not a right. 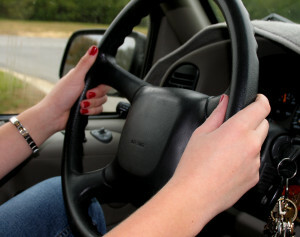 So if you discover your teen driver has violated a safe-driving rule, revoke their driving privileges for a while. Clearly explain to your teen driver that if they receive a ticket for speeding, running a red light or some other moving violation, that in addition to losing their driving privileges for a while, they will also be responsible for paying the ticket and the commiserate increase in insurance costs before driving privileges will be restored. When you are driving, be sure you follow the rules. If your teen driver sees you speeding, texting while driving, not wearing your seatbelt, etc, they are going to mimic that behavior and be more likely to disregard your safety edicts. It is as simple as monkey see, monkey do. Keep your teen driver’s car in good repair and teach them to do the same. Make sure tires, brakes, windshield wipers, headlights and other safety equipment are in good working order. Be sure you have adequate liability coverage and uninsured motorist coverage on your vehicles. At the Day household, we feel extremely grateful that 2 of our 3 kids have successfully made it through the teen driving years. And, we will hold our breath again when the time comes for the third one to start driving. In the meantime, we are here to help if you or a loved on is involved in a car accident. Our award-winning lawyers handle all accident cases on a contingency basis so we only get paid if we recover money for you and your family. If you would like to discuss your case with us in a free consultation, just give us a call at 615-742-4880 (Nashville) or 615-867-9900 (Murfreesboro) or 866-812-8787 (toll-free).